THE maximum fine of $3000 has been issued to Champions Quarry for providing false information. The Department of Planning and Environment gave the fine to the Lismore business for providing false and misleading information about paying a fee worth nearly $14,000. Dr Oliver Holm, Executive Director of Resources Assessments and Compliance, said the Department's compliance officers issued the notice after doing some checks. "Our checks found that a representative of the company provided false and misleading information when submitting the required proof of payment for state government assessment fees", Dr Holm said. 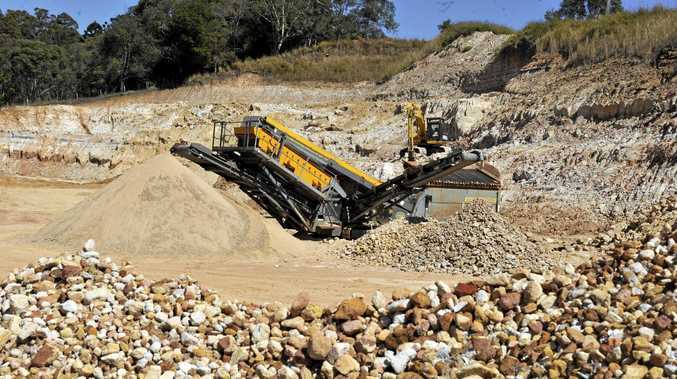 "In May 2017, Champions Quarry submitted a modification application to construct a sand washing plant within the existing sandstone quarry, which was approved the following month, subject to conditions. "The assessment of a modification application by the NSW Government requires a fee. "The Department was presented with a remittance advice, indicating that the company had paid the assessment fee, when it hadn't. "We pursued the matter as our accounts had shown that payment hadn't been transferred to the department." Champions Quarry has since paid the $13,592.50 assessment fee in full in October 2017. Dr Holm added that the department's compliance officers will continue to monitor the Champions Quarry operations closely. "When companies receive penalties such as this, the department can raise the risk profile of the project," he said. "Ultimately this can lead to increased compliance, including unannounced inspections and surveillance operations." The Department's compliance team actively monitors major project sites around NSW, building community confidence in the planning system and protecting the environment.